As they wanted me to make a tour plan, I took a typical course for a tourist who came here for the first time. I picked out some fomous places among MUST-SEEs. The first leg of our tour was Sanjusangendo temple. This temple was named after the number of the spaces between the pillars of the main hall. Sanjusan is 33. This hall has 33 spaces between the pillars. In the hall, there are a thousand images of Buddha. It is said that you can find a face you are familiar with, because each of the faces is different. 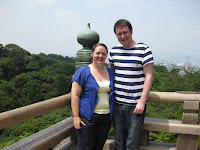 The second place we visited was Kiyomizu temple, the most famous temple in Kyoto. The hall has 13 meter high balcony which was made without using a nail. As it is very high, when we make a big decision, we say "I will leap off Kiyomizu stage"
After visiting Kiyomizu temple, we enjoy walking along the street called Sanneizaka and Nineizaka to Yasaka shrine. From Gion, we took a bus to Shijo Kawaramachi and went Nishiki Food Market. Then we had Okonomiyaki Lunchi near the market. 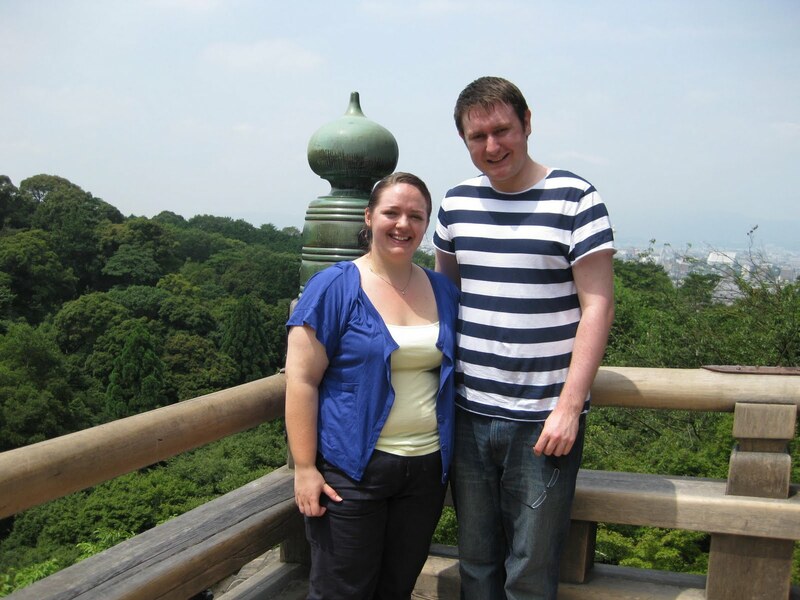 We headed for the historic place, Nijo castle. The most famous thing in Nijo castle is its floor called Nightingale floor. Besides the floor, you can enjoy many other things like art and design of the room. In addition, you can take a glimpse of a part of Japanese history. 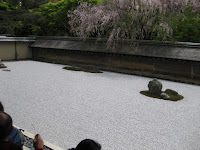 We went to Kinkakuji temple and Ryoanji rock garden. There I explain the main idea of Zen, and about the rock garden. Kyoto has a lot to see, so just one day is not enough. However, if given just one day, this is one of the courses you can be recommended.